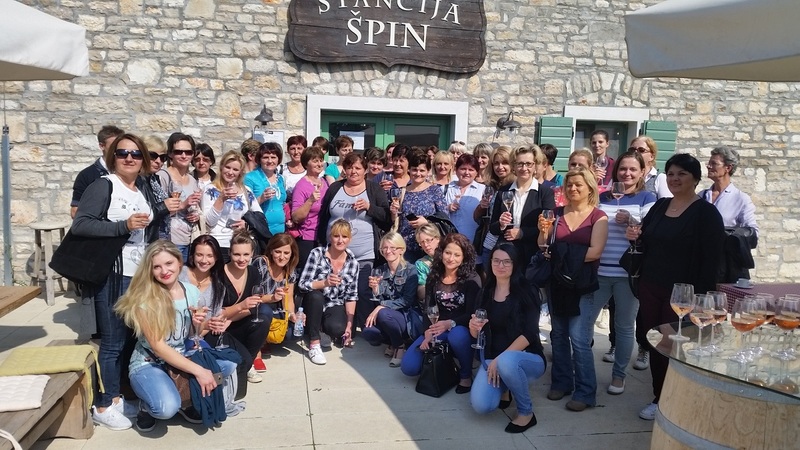 A total of 170 employees from Konzum’s delicatessen department visited Agrolaguna in Poreč. 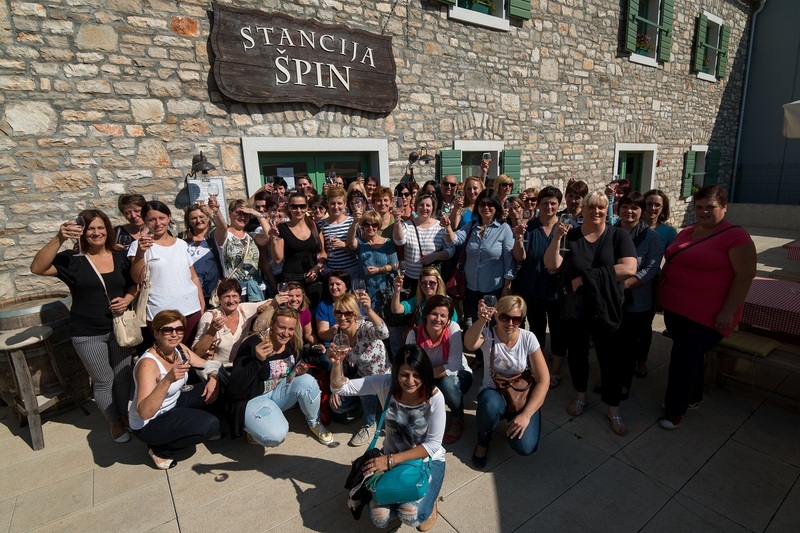 The purpose of the visit that was organized by Konzum and Agrolaguna was to educate the delicatessen department employees on the production processes in Špin cheese dairy and Špin cheeses that were, up until recently, marketed under the Sir Laguna brand. 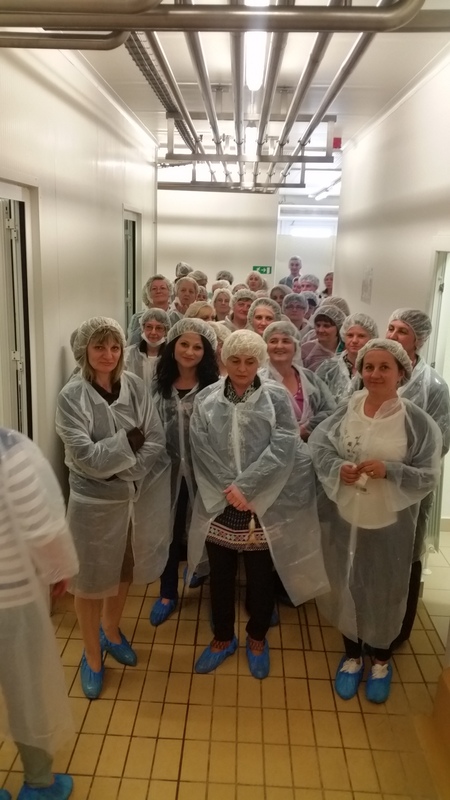 Education was led by Luana Kušće-Vodopija, director of Špin cheese dairy, who introduced the production process to Konzum’s employees, from pastures to the final product. She highlighted that Špin cheese dairy annually produces 300 tons of cheese and 100 tons of curd. Alongside its own milk production from a herd of 2000 heads, the dairy also buys 150.000 liters of milk from 20 local suppliers every year. She also presented the cheeses under the brand Špin to Konzum’s employees. This included cheeses made from cow and sheep milk as the true heirs of Istrian dairy industry tradition, that are accompanied by special cheese products such as Istrian cow cheese with truffles, Istrian cow cheese in teran pomace and Gran Istriano – a 10 kg wheel of cheese made from cow milk aged for a minimum of 12 months in a production process similar to Italian Gran Padano production. 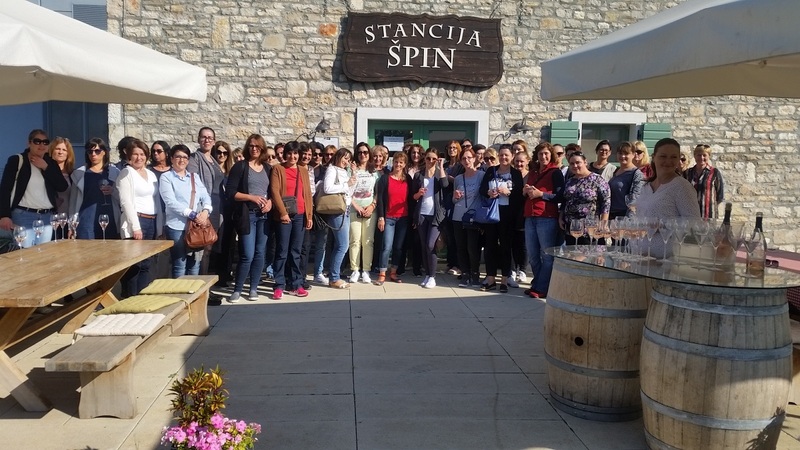 The wine pairing workshop was especially interesting, where visitors learned how to pair cheese with Agrolaguna’s wines, and the visit to Stancija Špin ended with a fine Istrian lunch enriched with Vina Laguna wines.